Week 10 – What I learned while hanging in a silk cocoon. I hope to see you at one of the Hay House “I Can Do It” conferences this year! Check out all the details here. What I learned while hanging in a silk cocoon. This weekend I’m enjoying some much needed warmth and sunshine here at Miraval Resort in Tucson, Arizona. It’s the fulfillment of a promise I made to myself last year when I decided to visit in 2015 as a guest instead of a teacher. It’s also aligned with my commitment to walk my talk. It’s irresponsible to teach self care if I don’t take care of myself. To that end, I just had an awesome experience – a floating meditation. 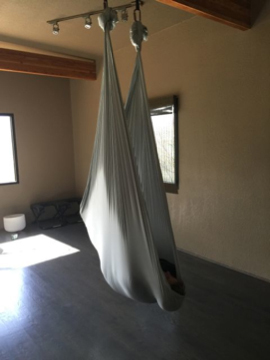 For nearly an hour I was cocooned in a silk hammock that hung from the ceiling, while treated to the sound of crystal, singing bowls and the gentle, guiding voice of a woman named Alysa. During the hour, Alysa played the bowls and gently rocked the silk cradle as I slipped into a relaxed, altered state. When it was over, I felt like I’d been in my chrysalis for a mere five or ten minutes. It was butterfly heaven . Such a beautiful idea and one I intend to use. Thanks to my sister-in-law Diane, I started a daily meditation practice over a month ago and it’s been such a blessing. 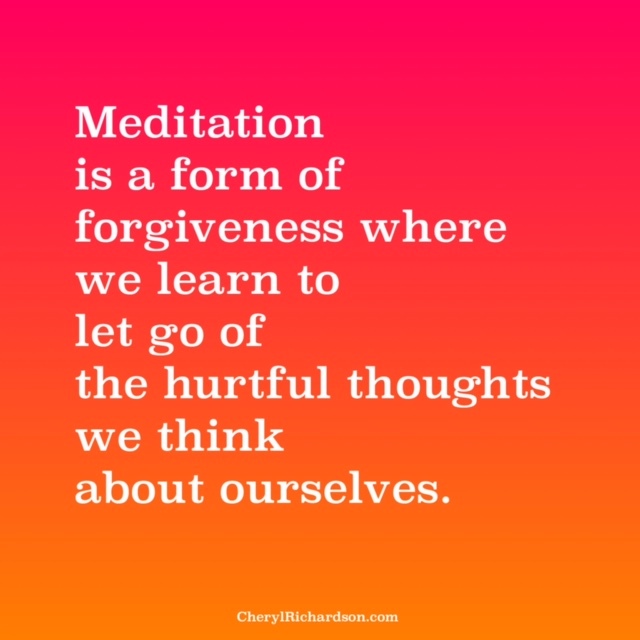 So far I’ve been pleasantly surprised by the impact meditation has had on my life. I can quickly trigger a calm response to stressful situations by using my meditation word. It’s easier to prioritize my time. I feel more present to life. And it’s handy. Meditation is a tool you can take anywhere. For years I tried to make myself stick to a meditation practice without any consistent luck. Now, in my wiser years, I realize that a practice – any good, self-care practice – finds us when we’re ready. And that brings me back to forgiveness. It’s so easy to be hard on ourselves, to push ourselves to meet standards set by an internal voice that keeps raising the bar. Give yourself ten minutes of peace. Take a visit to butterfly heaven . I wish more companies would spend their advertising dollars like this. Check out the video here. Thanks, Farrukh!